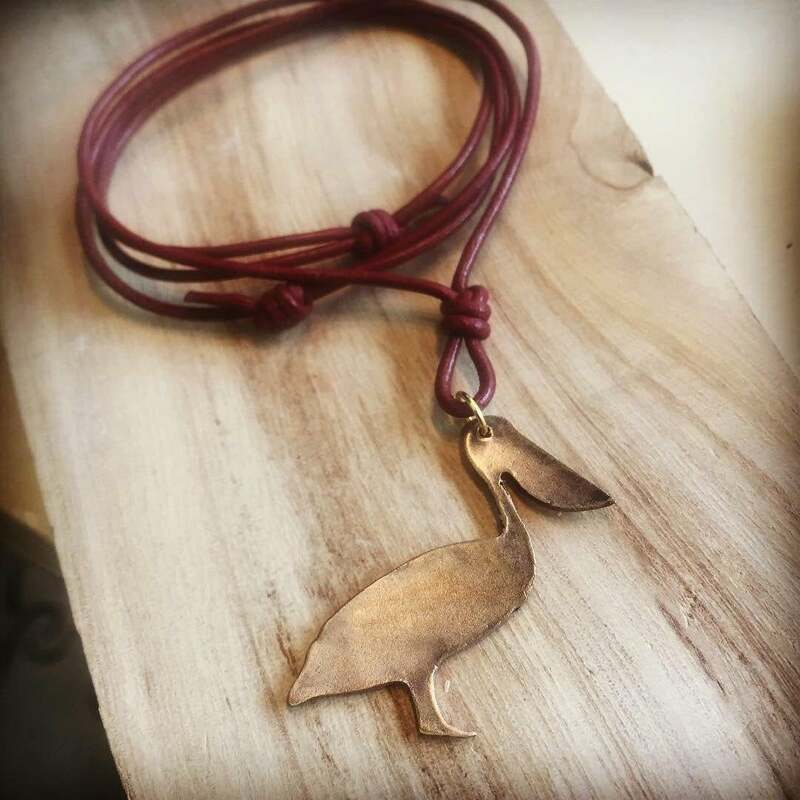 Handcrafted Bronze Pelican charm on 100% Top Grade Adjustable Leather cord. Choose from black, tan or brown. Lovely and unusual piece, perfect for my granddaughter’s entry next fall to Tulane. The seller/artisan worked with me to find a chain that would be suitable for a strict vegan (no silk or leather). The gift arrived beautifully packaged with no need for further wrapping, in plenty of time to be presented at her high school graduation celebration. A winner!